Leave Your Email Below and Get Instant Access to My Exclusive Training NOW! *You will be taken to the training immediately after subscribing! 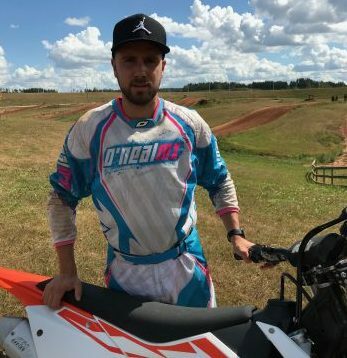 The author & founder of Motocross Advice has finally launched his Groundbreaking Online Motocross School. The Motocross School is mainly focusing on motocross beginners, medium level riders, & kids who ride motocross. Learning to ride motocross has never been cheaper or easier! This online MX School is different because for the first time riders are able to learn the skills online and their progress is being tracked and measured via live 1on1 calls. All students get unlimited access to each and every Motocross Advice course. Courses include step-by-step video trainings with Martin and also PDF guides to take with you on the track. All courses are constantly being renewed to offer maximum value to students and to create a one-stop-shop for all motocross riders out there. Who is this Martin, really? After my father quickly discovered my talent, hard work and dedication became everyday keywords in my early life. By the age of 7, I won my first Junior World Champion title in Germany riding on a 50cc and received my second title the year after. Since then I have been 6-times Estonian Champion and participated in different GP-s all over the world riding next to guys like Ken Roczen, Eli Tomac, and Blake Wharton. How Motocross Advice Came To Life? After I retired from my professional motocross career, I still continued to help other motocross riders out there. The sport is not easy. When you have ever enjoyed riding motocross, you can’t get the feeling out of your head. On the other hand, it is not easy to enjoy riding motocross when you constantly are making mistakes, have injuries, and see how other riders are making better progress than you. I have had the joy of teaching other motocross riders how to master the correct techniques and have shown them how to fully enjoy riding motocross. There are only so many riders I can help on the track through physical presence, but the internet is giving me the opportunity to help many more. I want to show them all the true joy of motocross! That’s why I launched Motocross Advice a few years ago and opened my motocross school to all riders who need help out there. The mission of motocross advice is to provide best quality content about dirt bike riding, dirt bike parts & dirt bike gear. Best quality for me means that everything I talk about or suggest is tested by me with the highest attention to detail. I can only be successful if I am able to provide massive value.